IMATS tomorrow…See you at the show! This year, Alexandra Palace opens its doors to yet another stunning display of Make-Up artistry, showcasing the best of student and pro talent and allowing us to indulge in our passion…Make-Up. As the biggest professional, graduate and student Make-Up event in the calendar, the Illamasqua team are busily preparing the finishing touches to the stand – visit us at 811. Saturday 29th 8:30 a.m. – 5 p.m.
Sunday 30th Pro Card holders only 9 a.m.-11 a.m.
General admission 11 a.m. – 5 p.m. If you are attending IMATS as a professional artist you could be entitled to an exclusive opening and show this Sunday 30th January. Those in possession of an IMATS Pro Card will be allowed entry for a 2 hour period of uninterrupted Make-Up indulgence prior to the general admission for the show! 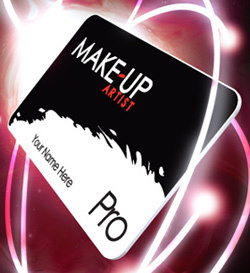 To find out more and to register for your IMATS Pro Card simply click here to be directed to the application page. During the show, Alex Box, Creative Director for Illamasqua will be performing a stunning ‘Make-Up transition to music’ which is expected to fill the venue this Sunday. Alex will also be revealing a very exciting announcement after her show…one you will certainly not want to miss! Tickets are still available to purchase on the day, for more information click here.